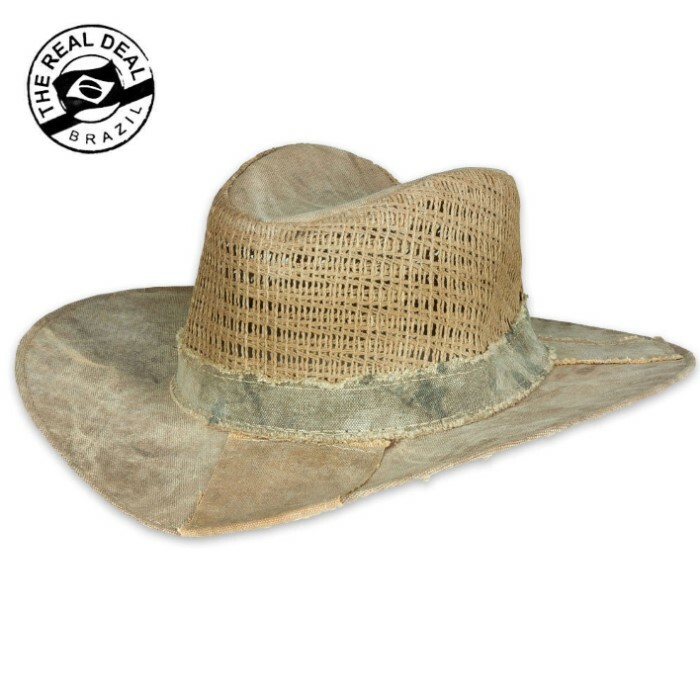 Real Deal Brazil Brisa Ventilated Tarp Hat | BUDK.com - Knives & Swords At The Lowest Prices! From frays to fading, jagged stitching to ragged holes, patches to ink marks, every one-of-a-kind characteristic of this Real Deal recycled-tarp hat hints at the story of its prior life lived as a lonely truck tarp, and its rough journeys through the harsh elements of equatorial Brazil. So don't take care of this hat; it will take care of you! With this updated Brisa model, you can have your cool and unheat it, too! The ventilated sides will keep you nice and cool while you're working, fishing, etc. Hand wash only.